Teams around the NFL no longer believe the New York Giants are going to be trading wide receiver Odell Beckham Jr. before or during the upcoming draft, sources told ESPN's Adam Schefter. This represents a change in the thinking of teams that thought there was a real chance the Giants would trade him. The Giants created a firestorm at the NFL meetings when the team's brass said it would listen to offers for Beckham. Several teams inquired about his services and Schefter reported that the Giants were asking for at least two first-round picks in return for Beckham, but the team insisted it was not shopping the three-time Pro Bowler. The Los Angeles Rams were one of the teams interested, but they traded with the New England Patriots for wide receiver Brandin Cooks, eliminating them as a potential landing spot. Beckham was there for the start of the Giants' offseason workout program on Monday despite talk of a holdout and a potential trade. Coach Pat Shurmur said it was important for all his players to be at the workouts this week to learn their new systems and help rebuild their culture. 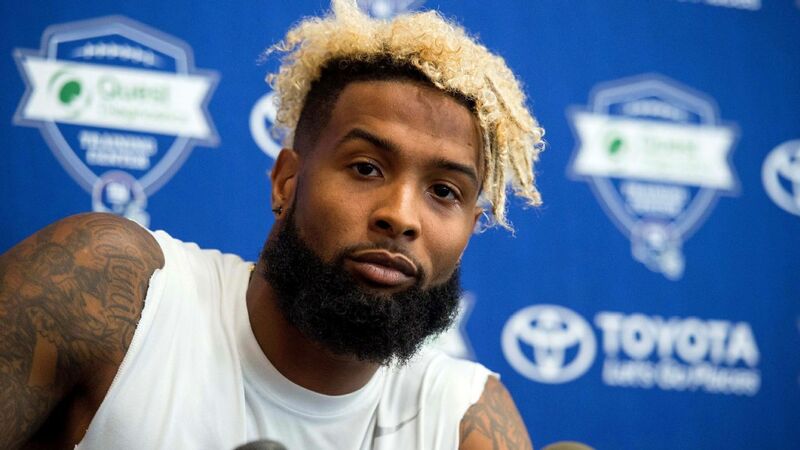 The situation has been trending toward him staying with the Giants, and a big step in the process was Beckham showing up for the start of Monday's voluntary workouts. The Giants wanted to see that he was committed to the new regime and get an up-close and personal look at the ankle he fractured in Week 5 of last season. Beckham, who is eyeing a new contract, stayed away most of last spring. He played last year for $1.8 million and is expected to make $8.5 million on the fifth-year option of his rookie contract this season. A new deal is likely to net him in the range of $60 million guaranteed. He missed most of last season with his fractured ankle, but he still finished second on the team with three touchdown receptions despite playing in just four games. The Giants struggled badly without him, averaging 13.6 points in the 13 games where he either didn't play or was limited.